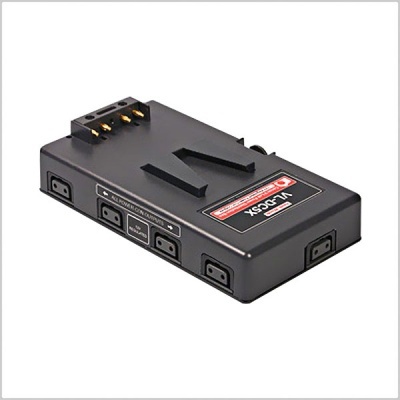 As well as running the camera via our Power-Con dummy battery adaptor, the VL-DC5X can provide power to additional on-board or nearby equipment. The VL-DC5X has a metal base which can be machined to suit the user\\\'s requirements. The VL-DC5X's Power-con regulated ports are ideal for Sony's FS5 camera which does not tolerate voltages above 16v. Meaning Lithium-Ion 16.8v batteries require a regulated feed to the camera.